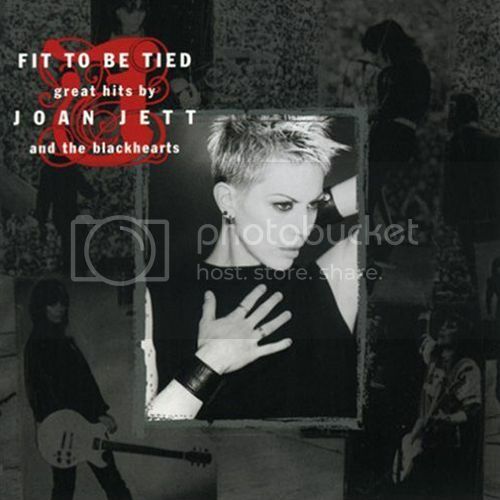 What Is The Best Joan Jett Album of All Time? 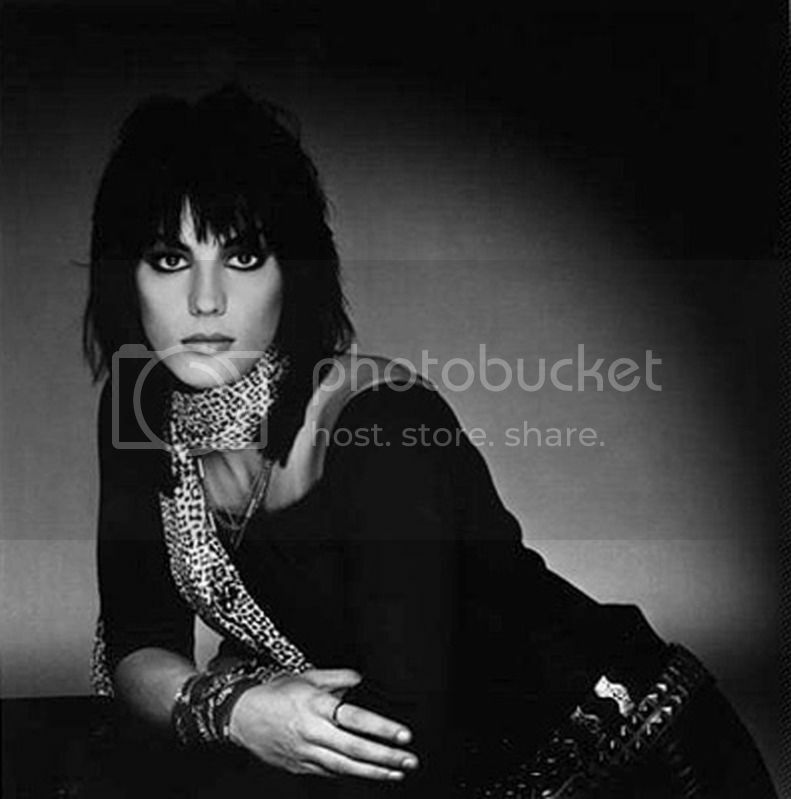 It's been such a long time that I've actually listened to any of Joan Jett's full albums in their entirety because they usually have a couple of monster hits song followed by average songs, some good, some bad. So, I've basically resorted to her Greatest Hits albums, more specifically Fit To Be Tied plus another set which I will get to in a bit, which packs all of her biggest songs into one nice little CD. A couple of interesting things about this set right off the bat is it contained an unreleased version of Roadrunner. On top of that, there is an alternate version of I Hate Myself For Loving You as well as a Live version of Little Liar. The reason for this had to do with Joan not being able to secure rights from her former Record Label. I think the versions on here are good, I just wished they could have worked something out to get the original songs on because it leaves this feeling like their is a huge hole here. Also, this package, even with all the songs, has some MAJOR omissions. 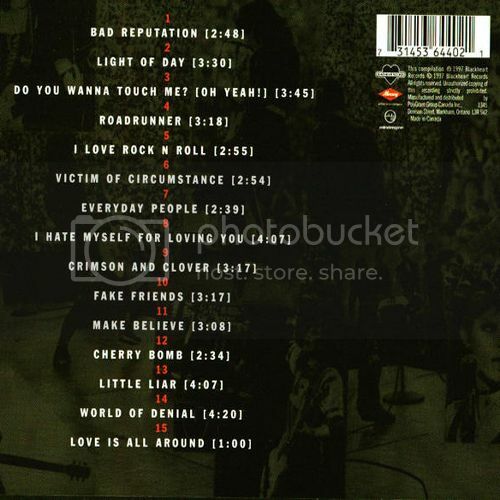 There is no Dirty Deeds, Good Music, The French Song, Blacklash and Love Hurts. That is unforgivable in my book. I love the Set, but it's got flaws. Lucky for me I have the complete Greatest Hits package that came out a few years ago. Just to clarify my rating for this album has nothing to do with the quality of the songs, but in the lack of content included within the set. Glad to hear that Joan is being inducted. She's really the only artist I have any interest in that is going in this year. That's not to say that I don't like any of the other artist going in. But I do have a BIG issue with Green Day going in so "early" in their career. I like Green Day, but seriously, how the f*ck are they getting in before about 20 other huge players in music? Getting back on topic, I really hope that Ricky Byrd will be participating in this. He IS the sound of the vintage era of the Blackhearts and it would be a crime if he didn't perform on stage. Gahhhhhh, you're giving them more attention than should be.